360 Motor getting dressed up. We have put the motor in and out about 5 times to get the fitment correct for the headers. It’s a puzzle to fit the headers that we just happened upon in the trunk of another car we bought. About a year ago we bought a 74 Dart with a 318 and a locked trunk with no key. When we got into the trunk we found the headers and a few other gem parts too. So.. We have no idea what type of headers we have. Maybe Keith Black? We did have to bend and hammer the headers somewhat to get the center link to clear at the idler arm, and the power steering coupler was rubbing too. We finally got the fit good. Its tight but it’s going to work. Factors that make it tuff to fit headers are lowering the car and having a power steering pump. We were able to use the factory starter and did not need to go with a mini starter. So far so good. Now were fitting all the bits and pieces and will fire up next weekend. I’m glad this is a hobby at this point. Duster headers. A body headers. Dart Demon Valiant Barracuda headers. 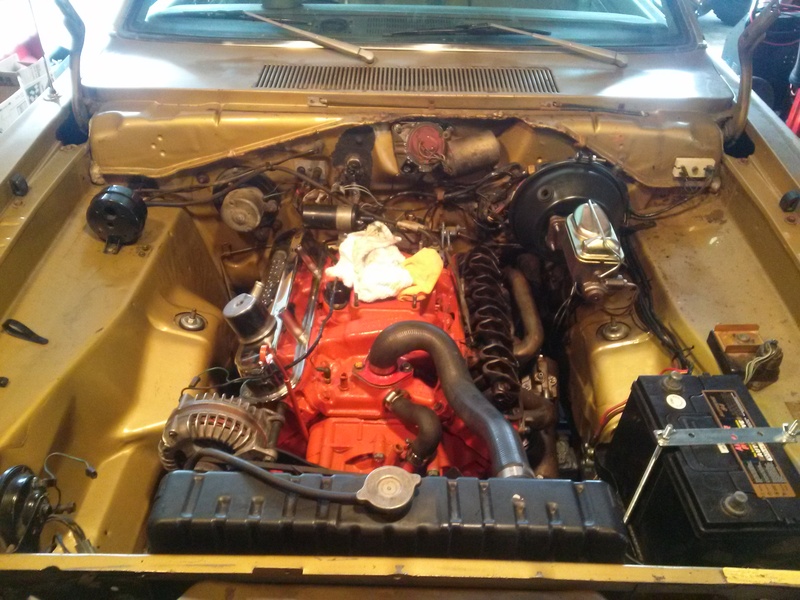 Fitting headers in an A body. & Garretts on a cruise. Maybe to timberline or a cruise around the mountain to the Hood. 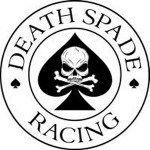 Death Spade style. I give that a Hell YA! Pro touring style..